Anchors away! Loving this masculine bathroom vanity by Fish River Furnishings! 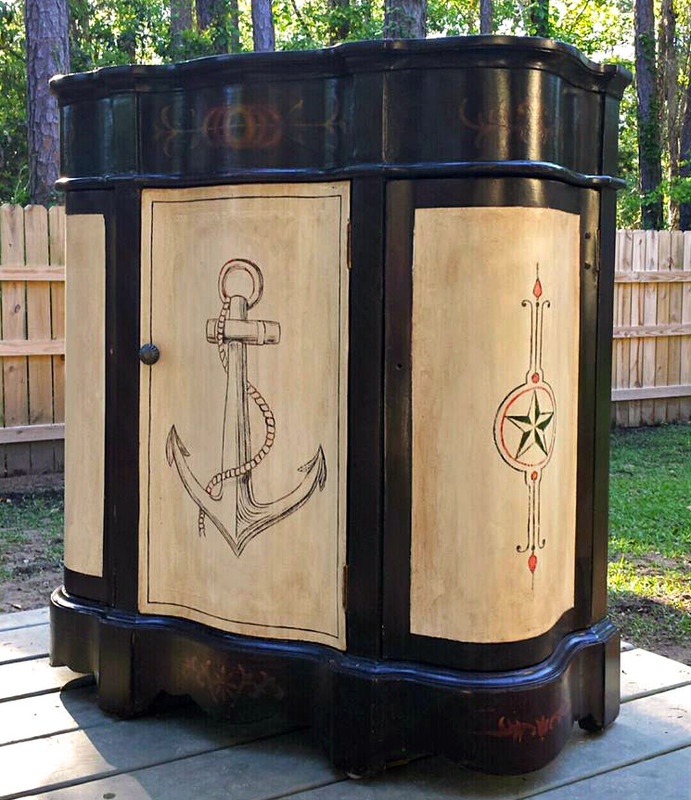 Restyled with Linen Milk Paint, Java Gel Stain, and Van Dyke Brown Glaze, with gorgeous hand-painted details. Fish River Furnishings will be opening a new, larger location on Highway 59 in Robertsdale, AL in June. How exciting!